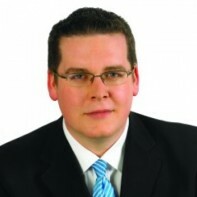 John McGuirk, 27 from Monaghan, will be contesting the forthcoming election as an Independent. McGuirk is a PR consultant based in Dublin. He managed Declan Ganley’s 2009 European Election campaign, and the 'No' campaign for the first Lisbon Treaty Referendum. McGuirk studied Business, Economic, and Social Studies in Trinity College. A little bit of essential reading on John McGuirk’s background.